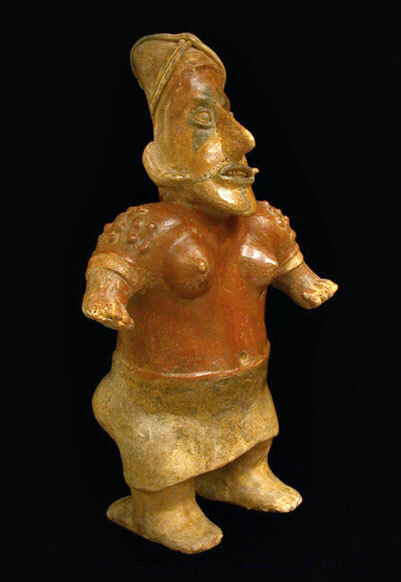 This expressive young lady with arms held outward has multiple scarification Cicatrice tatooing upon her shoulders. Her large heavily lidded eyes are accented by black resist tatoo decoration, as are the mouth and chin. Her buttocks are strongly rounded, covered by her skirt. She is painted overall in reddish brown and cream. Provenance: Acquired from a Private Southern California Collection.